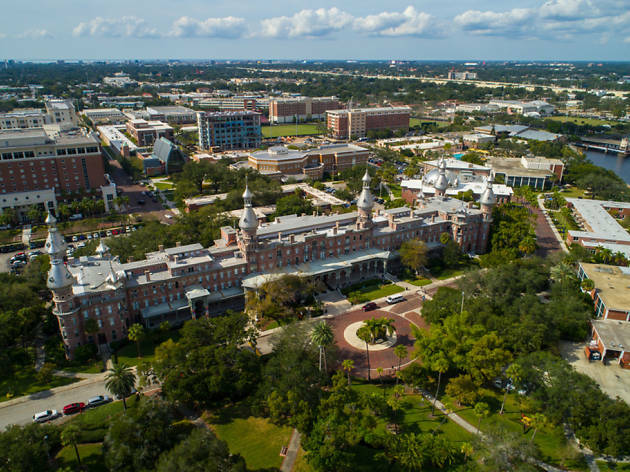 Tampa as we know it started out as a cigar-peddling, immigrant-built boomtown at the turn of the 20th century. The ghosts of these cigar workers still roam its historic streets, having left their mark on some of the city’s most notable contributions, like the famed Cuban sandwich, found at most restaurants around town. What’s next? As developers build new hotels, apartment buildings and skyline-defining edifices, tourists and locals alike have developed a newfound appreciation for everything that defines the city. Wondering what, exactly, they see in this place? 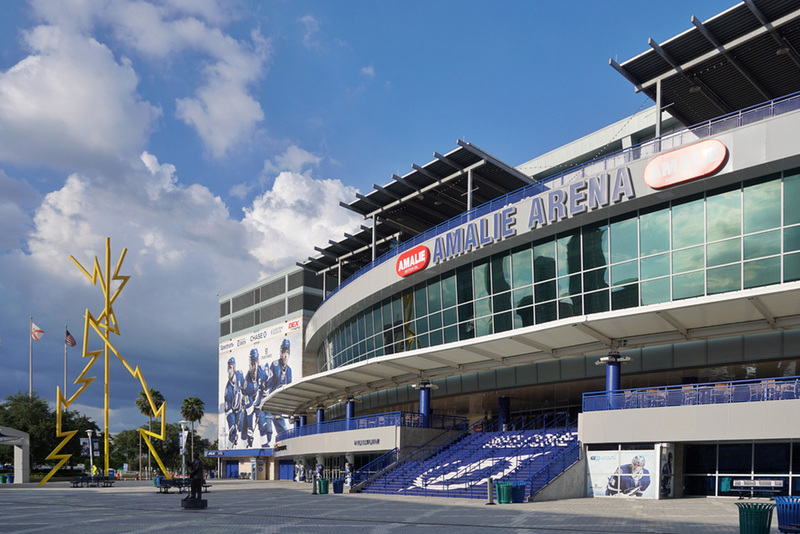 Check out this list of best things to do in Tampa. 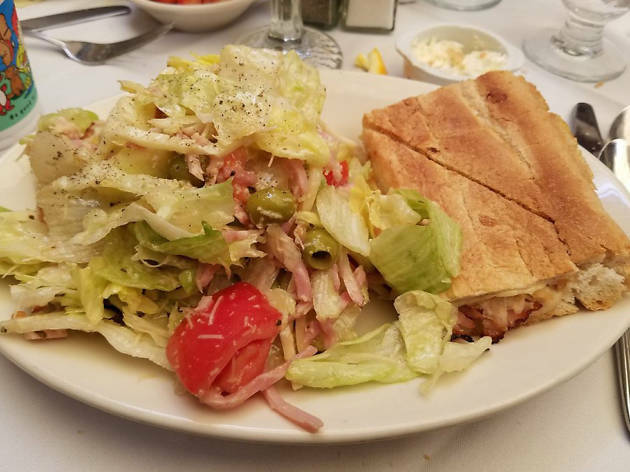 Founded in 1905 as a small corner cafe for local cigar workers, Columbia Restaurant is considered the oldest Spanish restaurant in America. 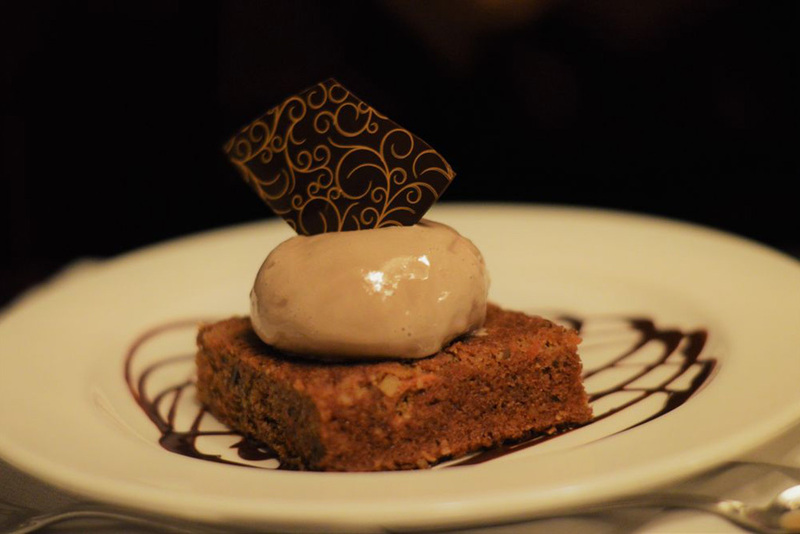 Its sheer size and opulence would make the restaurant an institution, but it’s got great food and wine to boot. Best part of it all? The eatery still serves one of Tampa’s best Cuban sandwiches. A must-eat for any first time Tampa tourist and a regular retreat for locals as well. 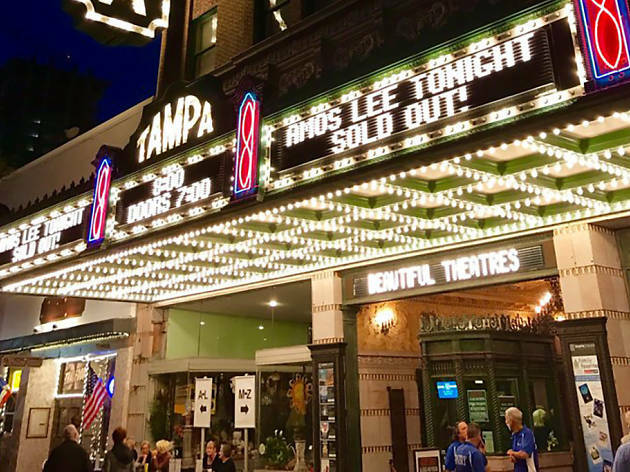 With vintage red seats and a two-story screening room, the Tampa Theatre will take you back to the early years of cinema. Built in 1926, the historic site has been entertaining the community in retro style, nearly non-stop, ever since. It’s now on the National Register of Historic Places, but don’t think this means the place just screens golden oldies—the bill features new releases alongside special events, including movie marathons and live music acts. 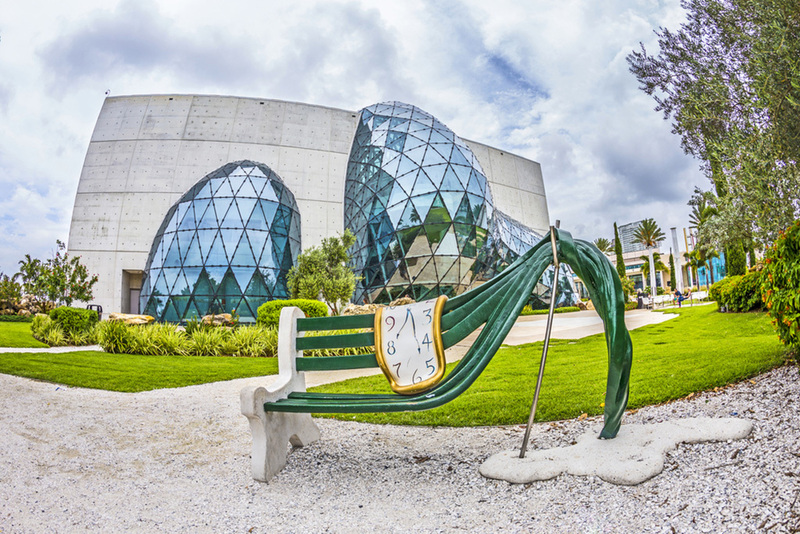 Featuring the largest collection of Salvador Dali paintings outside of Spain, the Dali Museum in Saint Petersburg is a must-see for any fan of art. The more than 2,100 works featured in the collection reflect the artist’s evolution, exploring his Catalonian childhood and international acclaim. 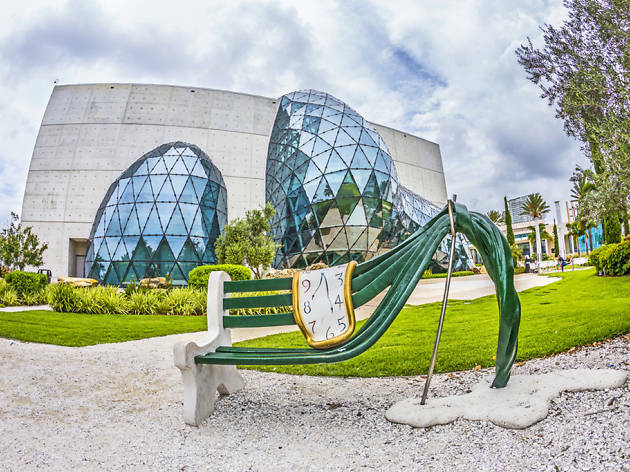 Rotating exhibitions put Dali’s work in context with the world and his peers, such as Frida Kahlo and Marcel Duchamp, highlighting the influence of the mustached, mischievous myth-of-a-man. 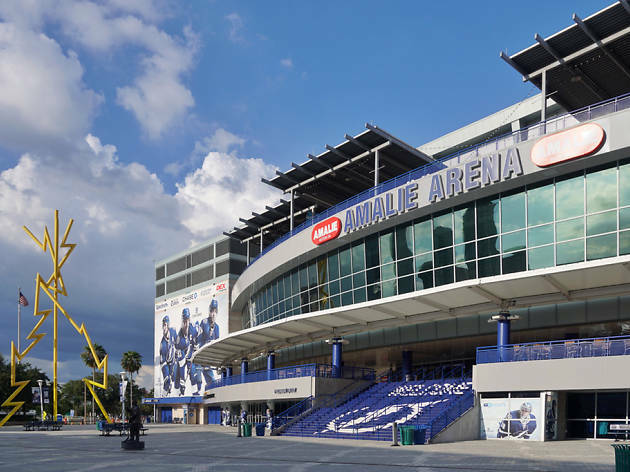 Despite the subtropical climate, Tampa is a bonafide hockey town. After winning the Stanley Cup in 2004 and then plummeting to the bottom of the league, the Lightning have skated their way back to the top. You’ll feel the electricity on game day, and see no shortage of blue-and-white jerseys with the signature bolt streaking across the chest. Buy tickets or watch with fans on a projector just outside the downtown stadium. 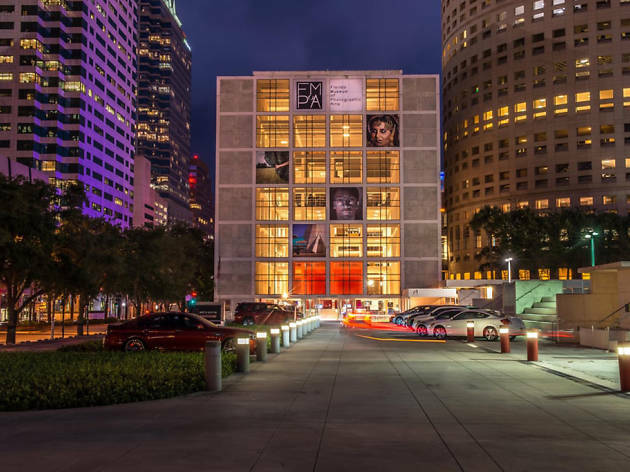 Everyone is a photographer in this day and age, but not everyone has “the eye.” Dedicated to photographic art, the Florida Museum of Photographic Arts collects and showcases significant works of photography, both old and new, in a stunning six-story building in downtown Tampa. Put your phone away and get inspired by the pros. 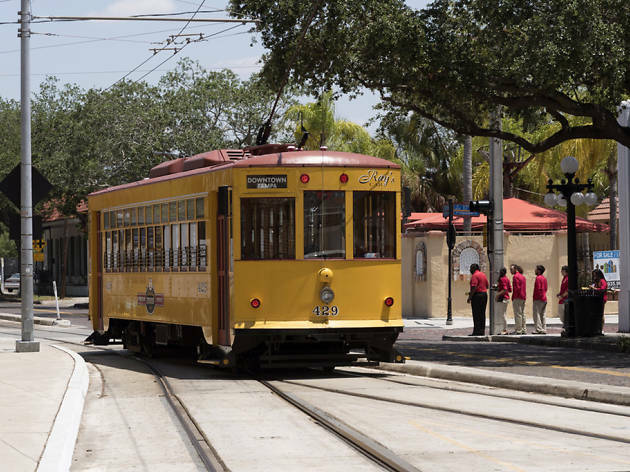 Nestled right next to the Hillsborough River, the restored and renovated streetcar station that is now Armature Works offers visitors a place to work and play. High ceilings, exposed brick and cracked paint give it the kind of industrial setting reminiscent of the Rust Belt’s refurbished warehouses. The focal point is a 22,000-square-feet market equipped with a cafe, cocktail bar, BBQ joint and about a dozen other restaurants. 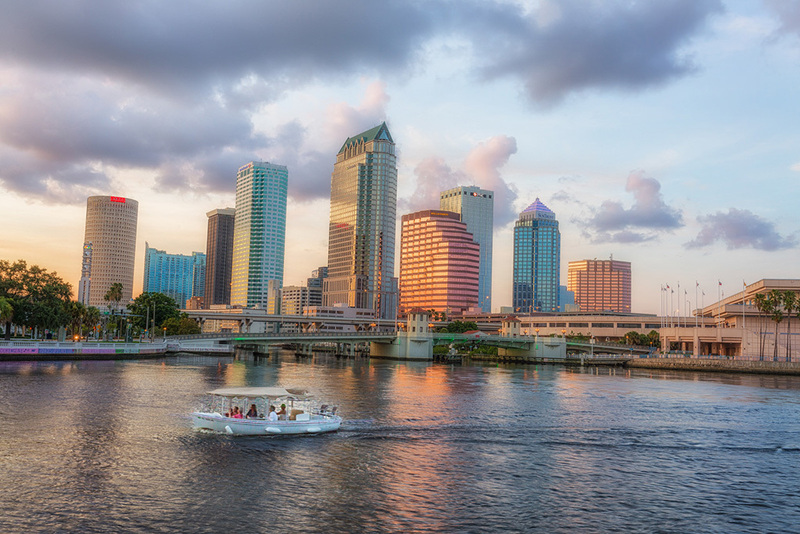 There’s no better way to experience the atmosphere of old Tampa than by cruising the Channel District in a mustard-colored trolley. 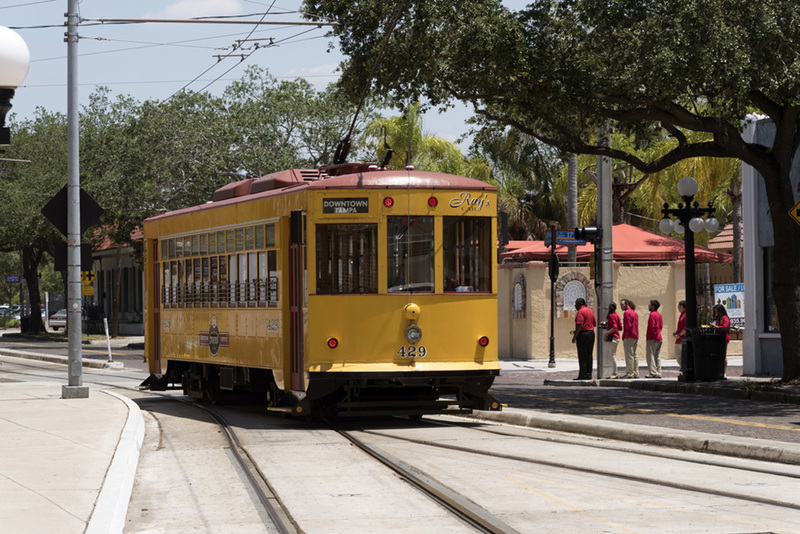 Enter one of these heritage TECO Line Streetcars and feel yourself transported back in time—after the pirates but before lawlessness left Tampa Bay. Eleven stations are dotted along 2.7 miles of track. 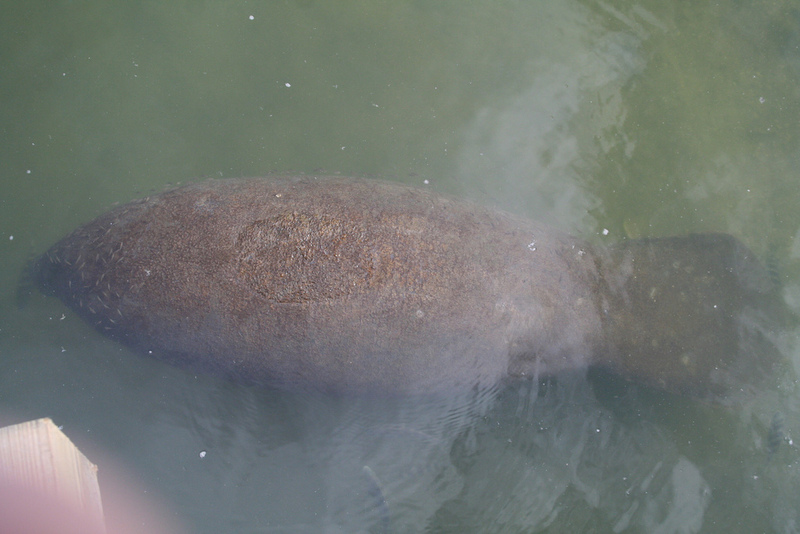 If you want to see a manatee, you might get lucky and spot one in the Bay. 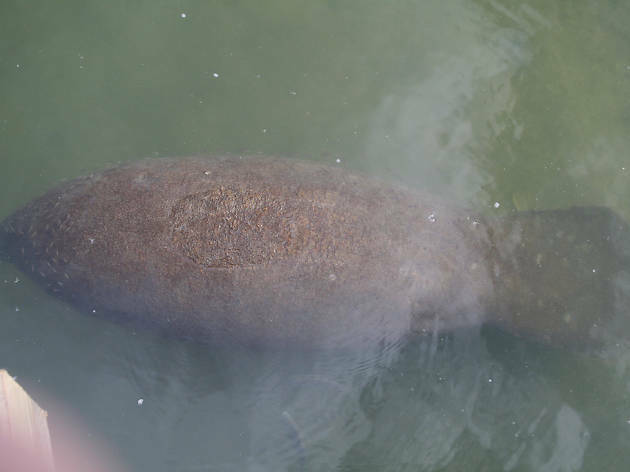 If you’re determined, head to Tampa Electric’s Manatee Viewing Center. What was once a power station’s discharge canal now offers sanctuary for sea cows seeking protection from the cold—and they are oh-so-cute. Offering charters to the local breweries and eateries, riding the Brew Bus is the best way to imbibe all day without getting behind the wheel. 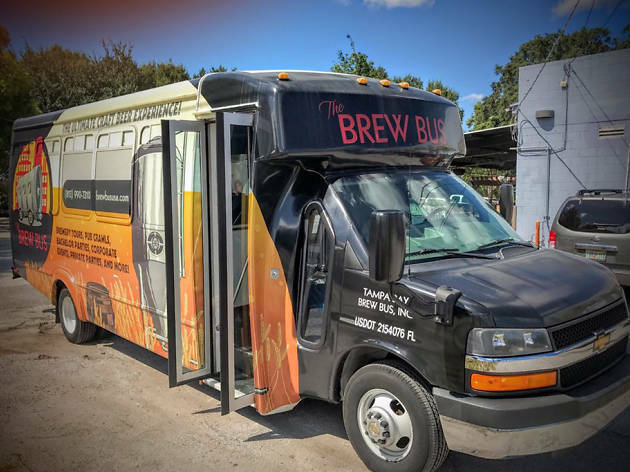 Hosted by Brew Bus Brewing, the bus takes revelers on a local loop—from Ybor City to Seminole Heights and downtown—including stops at the brewery’s 15,000-square-foot facility, Cigar City Cider and Mead, and Ella’s Americana Folk Art Cafe. 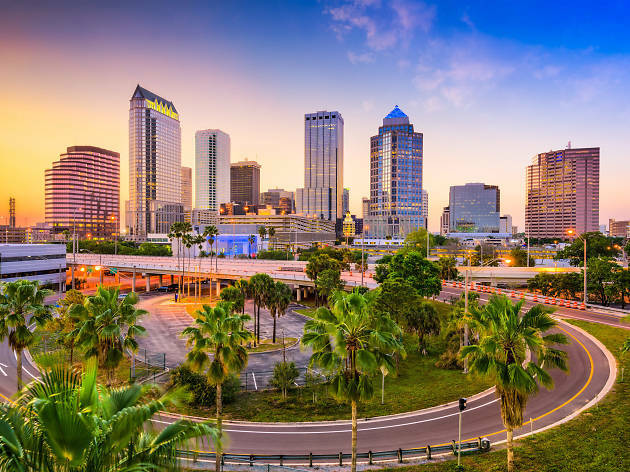 Buccaneers are long gone from Tampa Bay, but every January for over a century the city celebrates its swashbuckling past with the third largest parade in the United States. 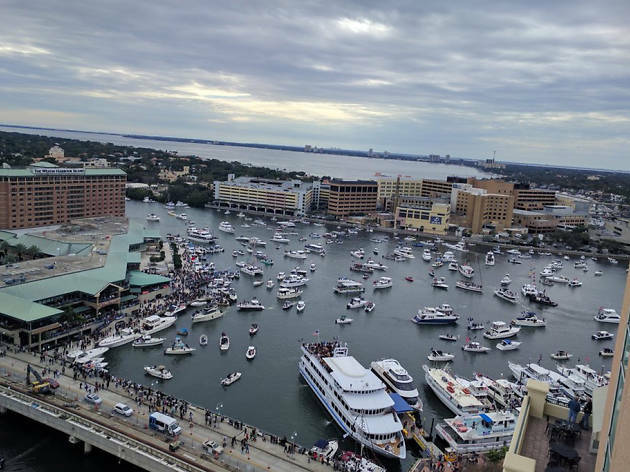 Some 300,000 people descend on the city during Gasparilla, beginning with a friendly “invasion” of the bay and ending with the Parade of Pirates down Bayshore Boulevard. Like ye days of ol’, the streets are full of booty and booze. Families should join the Gasparilla Children's Parade the week prior. 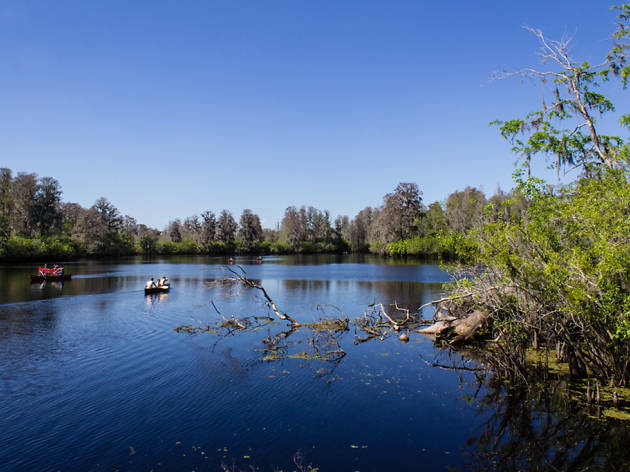 With a 3,500-foot boardwalk and three-story watchtower overlooking the beautiful Hillsborough River, Lettuce Lake Park has become one of Hillsborough County’s most visited green spaces. 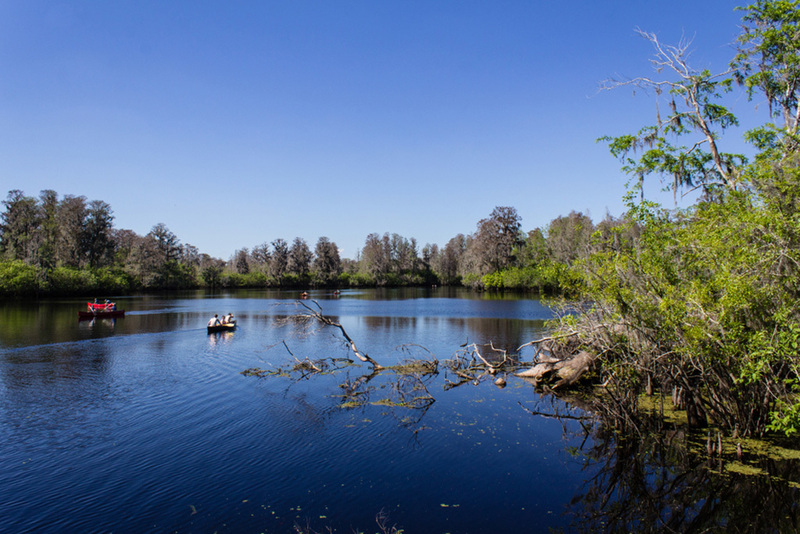 But don’t worry—there’s plenty of room in the 240-acre park for visitors to commune with the ospreys, armadillos, alligators and egrets that call the wilderness home. Tampa’s Big Cat Rescue isn’t your average zoo. The nonprofit center is one of the largest accredited big cat sanctuaries in the world, offering refuge to abused and abandoned big cats, ensuring that these feline friends can live cage free, if not in the wild. Over 80 lions, tigers, bobcats, cougars and other breeds call the sanctuary home. Ballast Point Park and Pier brings up fond memories for many folks born and raised in Tampa. It’s where kids cast their first line and hook their first snook. 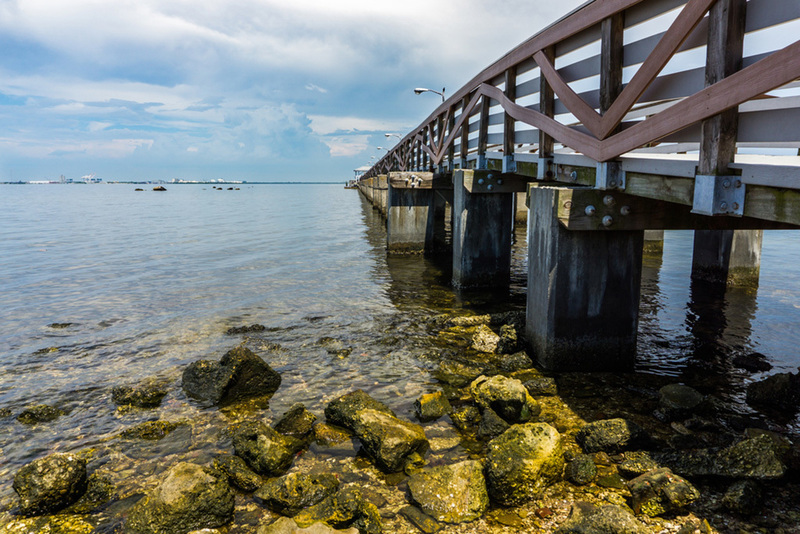 Today, many (but not too many) people still return to the pier, which juts out into Tampa Bay and offers a prime fishing spot. On land, a small splash park and restaurant provide fun and grub for the whole family. 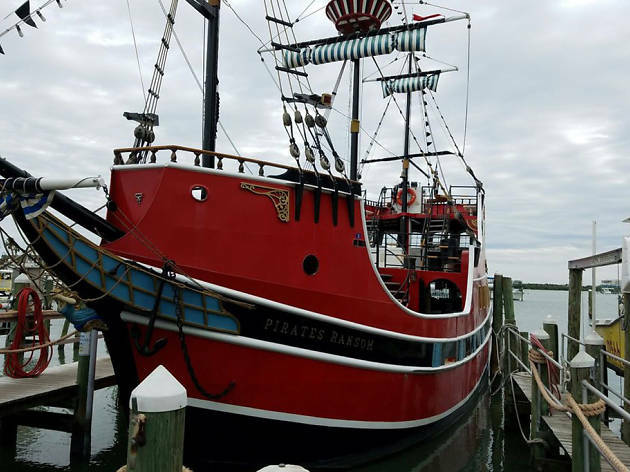 For over forty years, Captain Memo and his first mate, Panama Pam, have taken wannabe buccaneers on a short ocean voyage in a modern pirate ship called the Pirate’s Ransom. This is a family affair that launches from Clearwater Beach Marina. Saint Petersburg is seen as a hipper Tampa and nothing demonstrates this better than the city’s Saturday Morning Market. 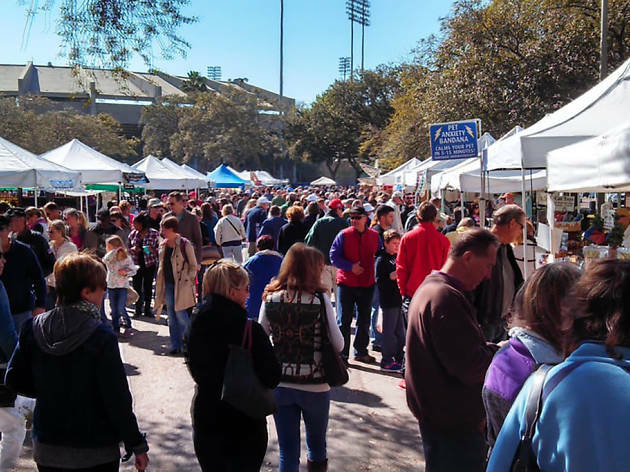 From 9am to 2pm every week between early October and late May (that’s peak growing season in Florida), dozens of vendors offer fresh produce, ready-to-eat food and specialty goods like soaps and coffee. Grab some grub and relax under a grand oak, as live bands serenade you from the stage. 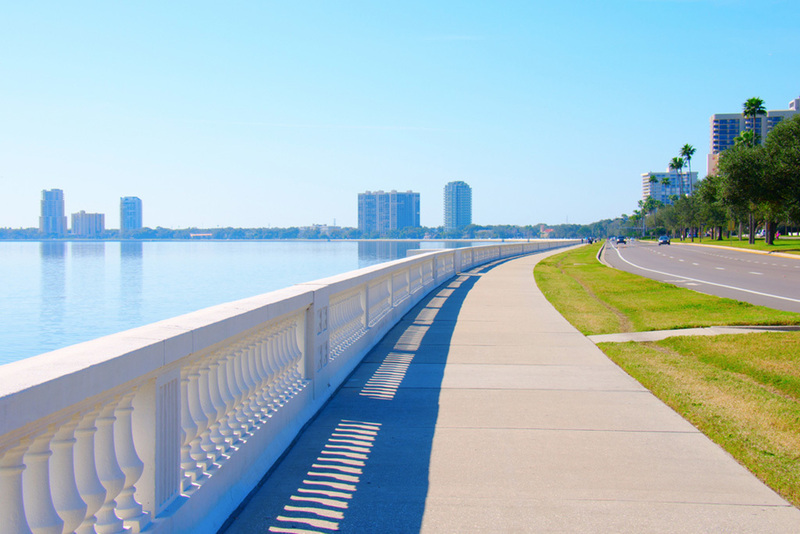 Nearly perfect year-round weather means fitness freaks are always on Bayshore Boulevard. Why not join them? 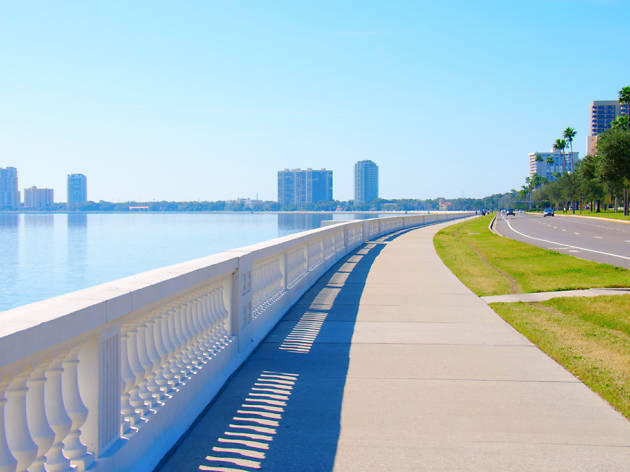 Lace up your running shoes and soak up the sunshine along the city’s most beautiful street. There’s a mile-long outdoor fitness course for stretching and body weight exercises, and a few bike sharing stations if your feet get tired. 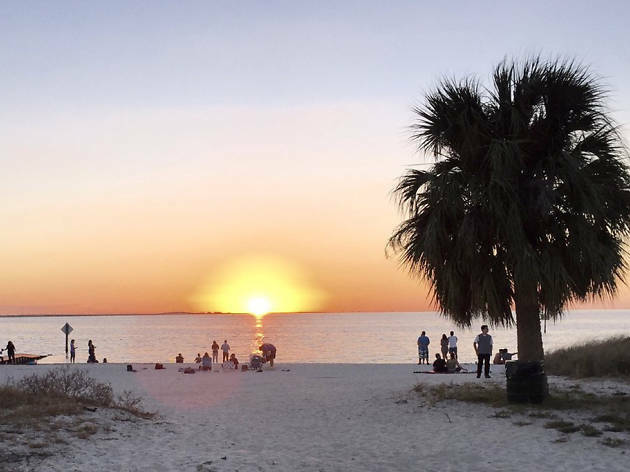 You don’t have to drive to Clearwater or Saint Pete to catch a beautiful sunset. Instead, pull up a beach chair on the sand of the little known Cypress Point Park and you’ll get a twilight spectacle more worthy of the West Coast. 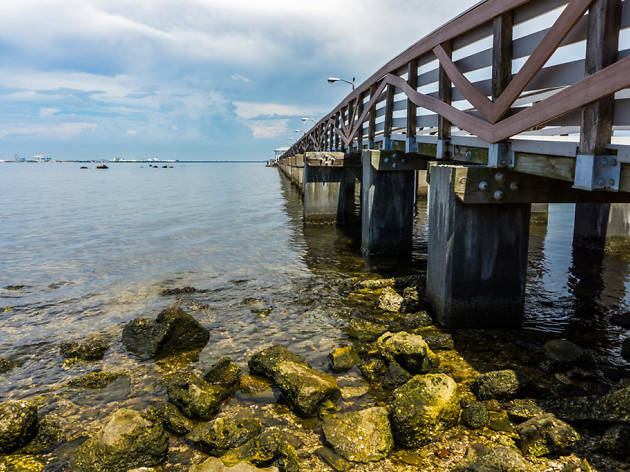 The park offers gorgeous views of Old Tampa Bay. Signs say four-footed friends aren’t allowed—but nobody seems to follow the rule. 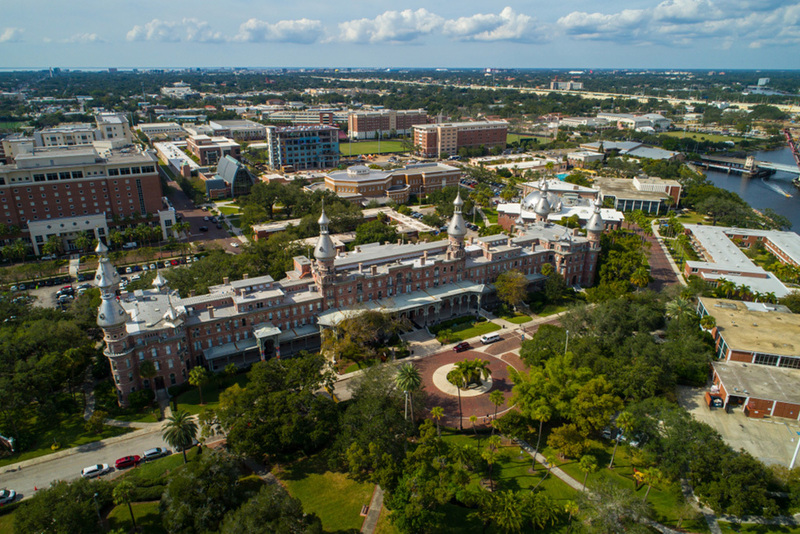 Built in 1891 as the epitome of Victorian elegance, the Tampa Bay Hotel now houses the Henry B. Plant Museum, where the turn of the 20th century comes alive through furnishings and decor from that era. Not much has changed since transportation magnate Henry Bradley Plant converted the hotel to a museum in 1933. Take a self-guided audio tour through the halls and see the building as its namesake intended it to be seen. 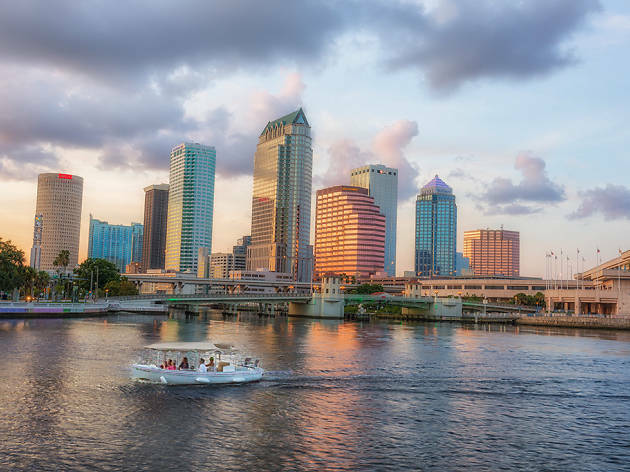 Throw on your captain’s hat, grab the wheel and cruise Tampa’s waterways with eBoats Tampa. Amazingly, you don’t even need a boating license to drive one of these things. They’re easy to operate, we promise. 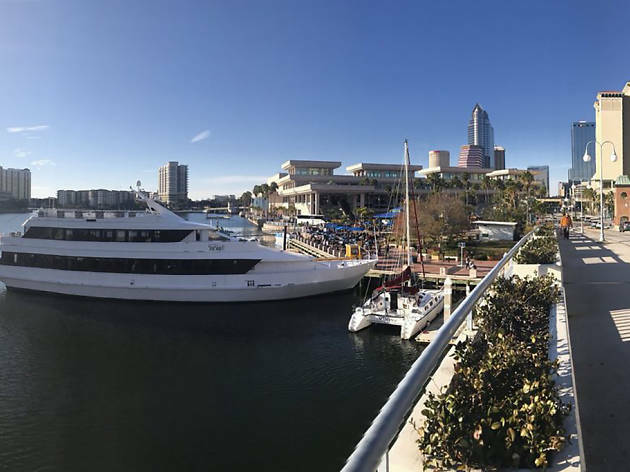 Voted as one of the most dog-friendly venues in America, Sail Pavilion serves good food and drinks for people and pups alike. 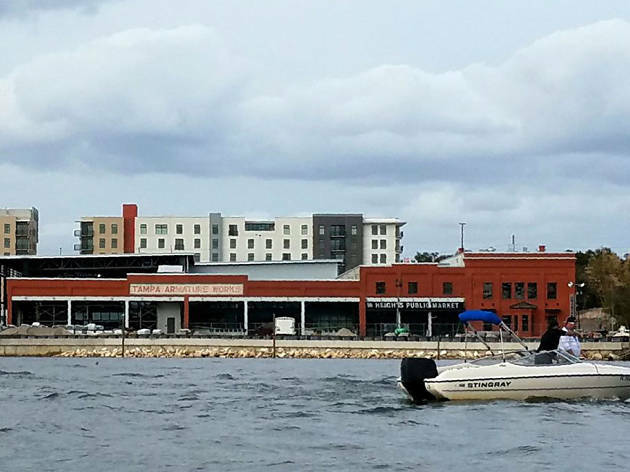 Located on the Tampa Riverwalk, which runs along the Hillsborough River, the open air bar and restaurant offers some of the city’s best people watching opportunities. On weekends, local musicians serenade patrons from a small stage. 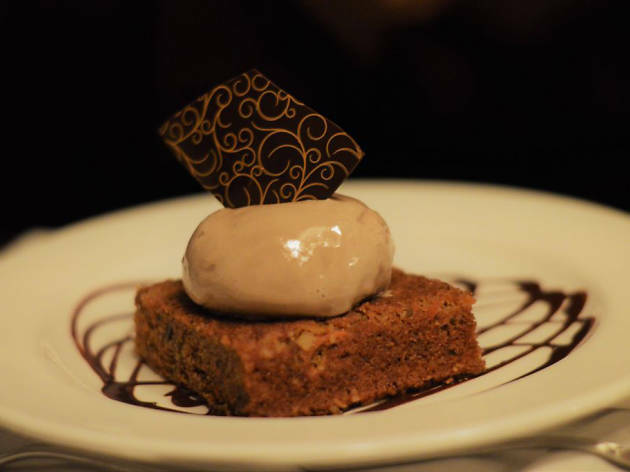 Craving out-of-this-world delicious meals? Check out these local Tampa eateries while in town, from cheap sandwich shops to stylish steakhouses.